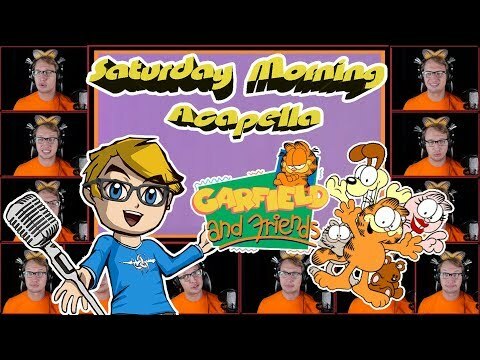 Does Garfield have a voice? Do u think Jon Arbuckle is funny? Can Jon hear Garfield's thoughts? Do u like the live action films? I have 11 scrap boeken full with newspaper cut outs of Garfield cartoons ... they worth anything? door any chance do any of u noticed ANY inconsistencies within the Garfield comic strips? What do u like most about Garfield? Which part of White Kitty's new movie when they laugh at White Kitty's episode? This is my review of the Garfield comics which were created door Jim Davis. The comics appear daily in newspapers. The comics are about Garfield, a troublemaking oranje cat who loves to sleep and eat. His owner is Jon Arbuckle, a friendly guy who acts very goofy. Garfield often makes fun of Jon and Jon's silly dog Odie. Odie used to be owned door Jon's roommate Lyman, but Lyman disappeared from the series. Garfield is a comic strip that was created and written door Jim Davis. It stars a eccentric food lover named Garfield and his goofy caretaker Jon Arbuckle. My lijst is about the best characters from the Garfield franchise. Binky is a recurring character. Binky is a clown that Jon Arbuckle is a fan of. Binky is a fun and goofy character. The franchise needs meer of him. PAWS Inc. and Jim Davis have donated an original, signed picture of Garfield to Masterworks Chorale in Muncie Indiana. All proceeds from the auction will go toward supporting Masterworks Chorale's 2014-2015 concert season. To see the artwork and to place a bid, visit auction.4masterworks.org. Click on the Garfield image to see the entire picture and beschrijving of the artwork, valued door PAWS Inc. at $600. The auction website has instructions for signing in and placing a bid. Garfield's best friend is Pooky the cute teddy bear. Here u can read original Pooky comic strips. Garfield is the most famous fat cat all of the world. Here u can find wallpapers, pictures, coloring pages, characters, facts and comic strips. a pop quiz question was toegevoegd: What does Garfield yell out? a pop quiz question was toegevoegd: What breed of cat does Garfield closely resemble? a poll was toegevoegd: When is odie's birthday? Why did Garfield teach Odie how to dance like him and White Kitty?